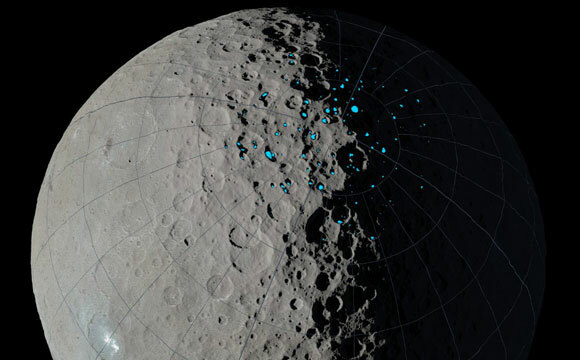 Using data from NASA’s Dawn Mission, astronomers have identified permanently shadowed regions on the dwarf planet Ceres. These areas are likely cold enough to have trapped water ice for a billion years, suggesting that ice deposits could exist there now. 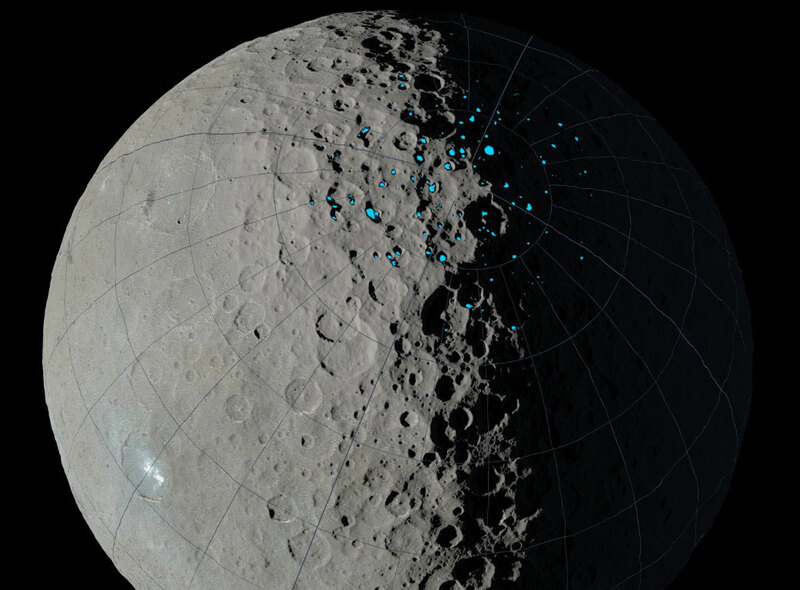 Be the first to comment on "NASA’s Dawn Spacecraft Maps Ceres Craters Where Ice Can Accumulate"